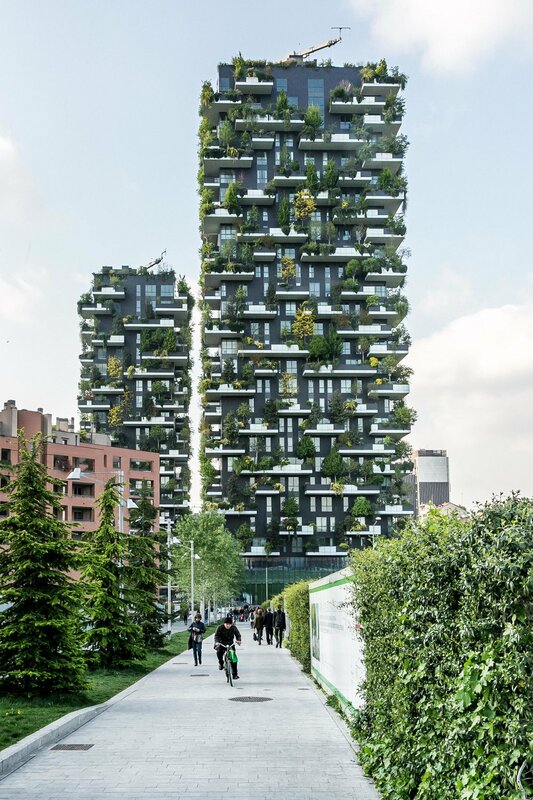 The award winning Bosco Verticale (Vertical Forest) residential towers. 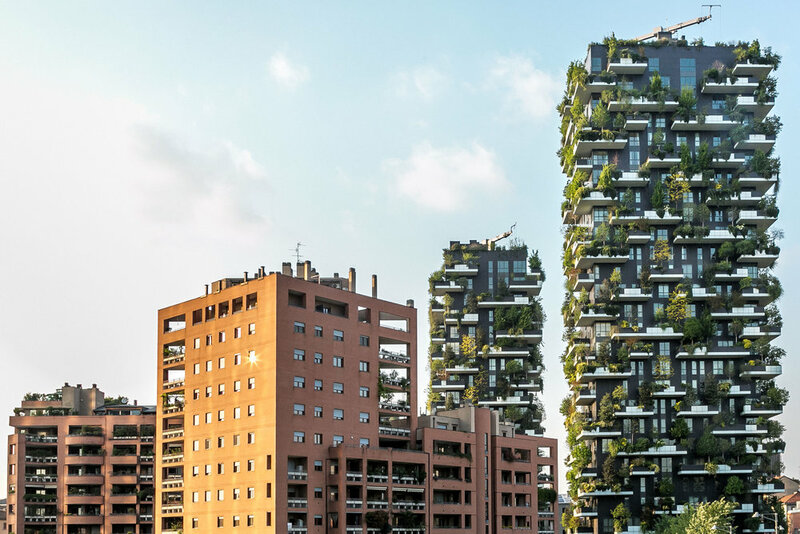 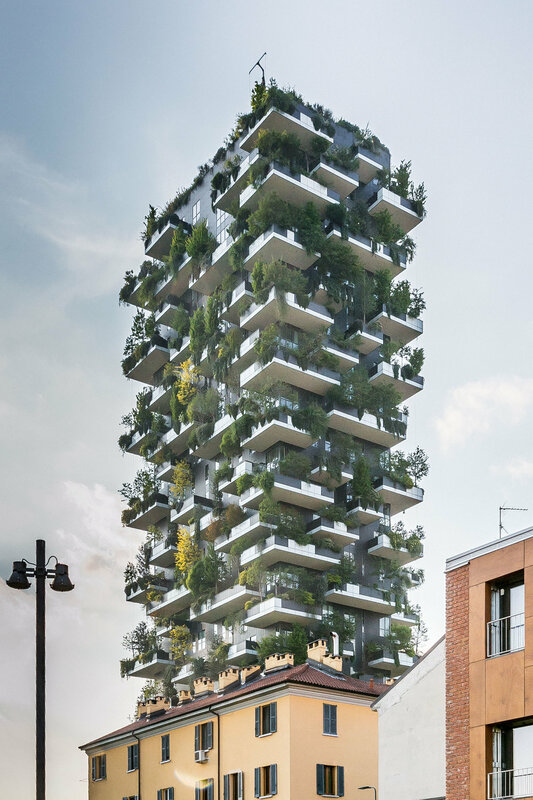 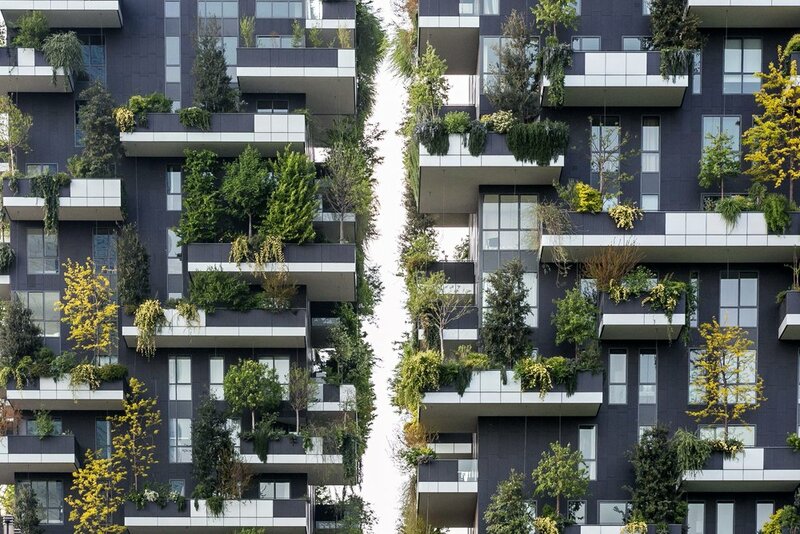 Standing at 110m high, with almost 1000 trees and over 2000 plants on its facade, the towers help to mitigate smog and produce oxygen in central Milan. 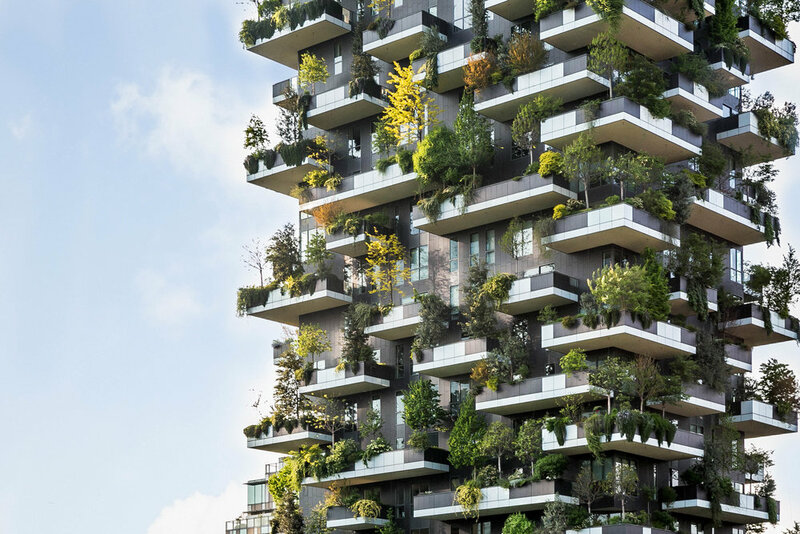 Awards include: International High Rise Award 2014 and Best Tall Building Worldwide 2015.